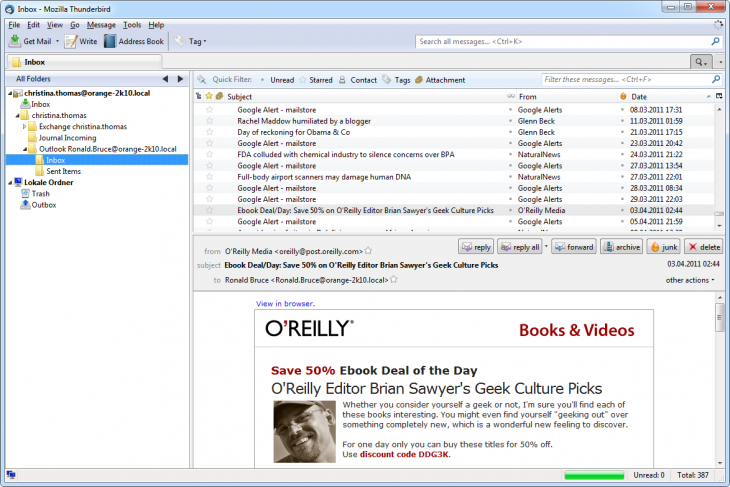 The most frequently used means of accessing the archive is via MailStore’s Outlook Add-in, which is available for all the usual versions of Outlook. 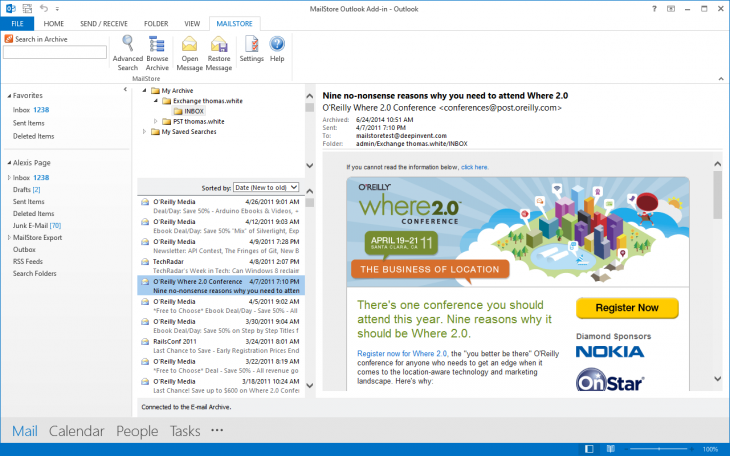 The advantage of this option is that Outlook is the most prevalent email client and users can continue working in their accustomed email environment. And since this option is fully integrated in the user interface, users will barely notice any change to their work processes. Emails can be moved from the archive back into the local Outlook environment by drag & drop. The IT administrator can roll out the Outlook add-in on several machines simultaneously via a group policy, although manual installation is also possible. The Outlook add-in should be configured to ensure that access to the archive always takes place via a secure HTTPS connection. More and more employees are using mobile working methods. For this reason, MailStore Server and MailStore SPE are equipped with a responsive web access that can solely be used via a secure HTTPS connection. Archived emails can be called up onto any device, regardless of display size, operating system and browser. This is interesting for companies in which alternative operating systems, e.g. MacOS and Linux, are being used. Mobile users with the respective privileges can move and delete emails within the archive. Web Access also has a restore function: users can click on the Restore icon in the toolbar to send the email currently being displayed to any email address and thus restore it from the archive. MailStore Client is a Windows application that can be installed on any number of user machines either individually or via a group policy, irrespective of the number of licenses purchased. Of all the options for accessing the archive, MailStore Client offers the widest functional scope. Not only can users browse and view their emails but – privileges permitting – they can also configure and execute archiving and export tasks. 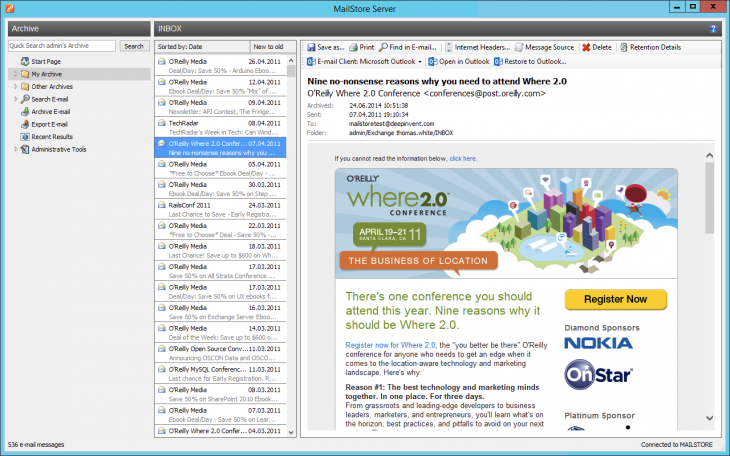 MailStore Client software is recommended for employees who want to archive their mail program (e.g. 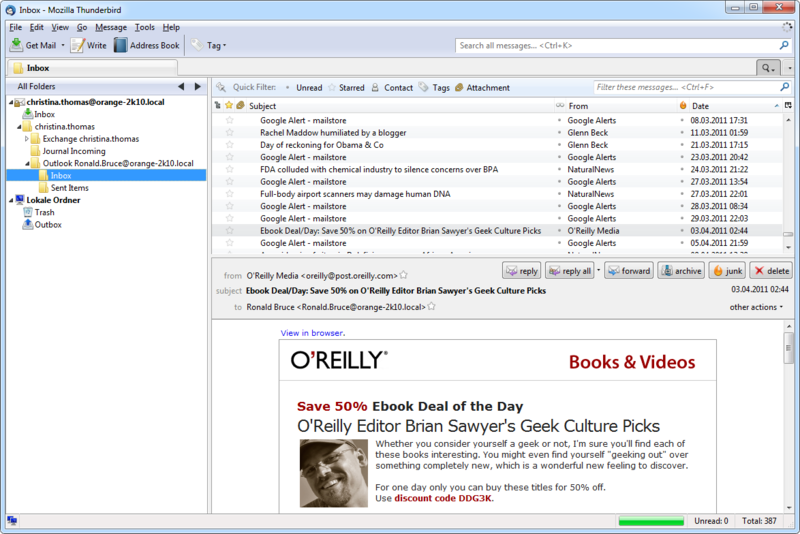 Outlook or Thunderbird) locally, as well as for the administrators of the email archiving software. MailStore Server also has an integrated IMAP server that allows you to access the MailStore archive in read-only mode via a TLS-encrypted connection from any IMAP-enabled email client. This is a highly convenient way for alternative email clients such as Mozilla Thunderbird under any operating system (e.g. MacOS or Linux), and mobile platforms (Android, iOS) to access the archive. Before deploying MailStore Server and considering the options for accessing the email archive, a company needs to choose a preferred archiving strategy. Our video from the Tech Tips series will provide you with the most important details. 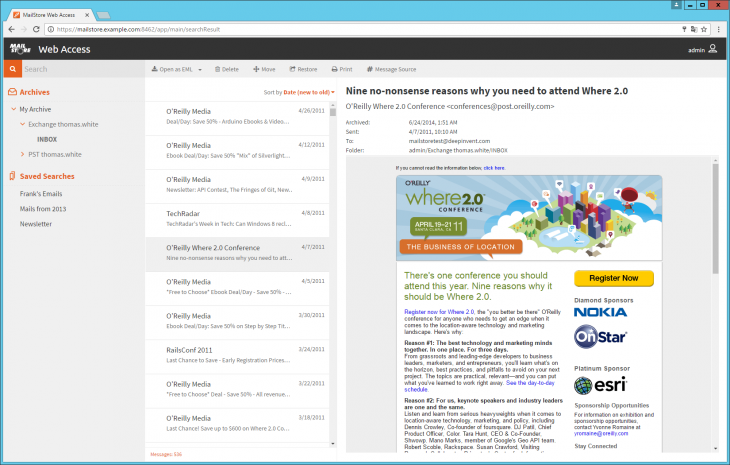 Try MailStore Server today free of charge in our 30-day trial version.